Books for Keeps – The difference we’re making – with your help! The difference we’re making – with your help! 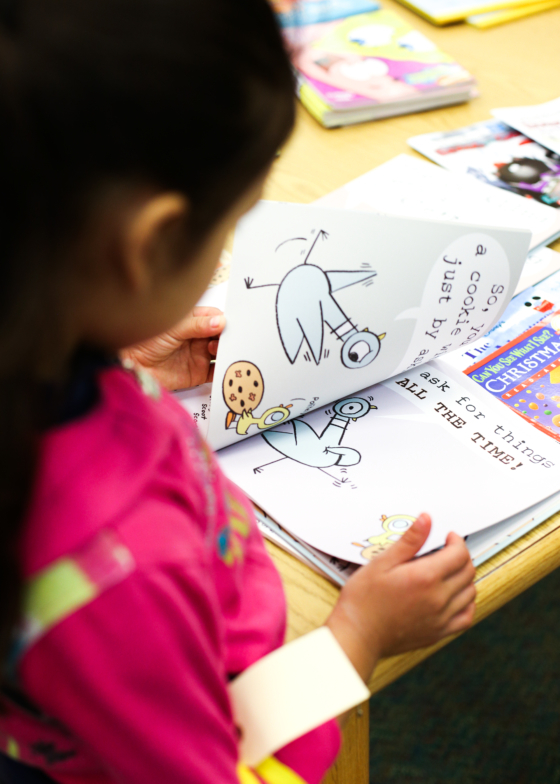 Books for Keeps is committed to ongoing evaluation of its program. While our K-5 book distributions follow a research-based model, it is important to our board, our staff, and our stakeholders that Books for Keeps can demonstrate its community impact. In 2017, we completed our first large-scale program evaluation, revealing measureable results for students after just one summer in the Books for Keeps program. This analysis was completed with the assistance of an intern from the UGA Terry College of Business economics department and the Clarke County School District. The demonstrated impact was equivalent to a 10 percent to 20 percent grade-level increase in reading comprehension over one summer. These percentages are based only on Spring and Fall 2015 data, and control for both school and demographic characteristics. To explore a report detailing these findings, and how we are addressing the problem of summertime learning loss and access to books, click here. The average summer progress for BFK students is 44.6 Scholastic Reading Inventory (SRI points), and 17 of those SRI points (or about 38%) are directly attributable to the program itself. With 100 SRI points reflecting one grade level of growth, BFK students are gaining one-sixth of a grade level in reading comprehension during a summer spent with Books for Keeps books. In 2015, BFK 4th-graders in particular made outstanding progress: in the spring, 50% were reading at or above grade level, and this percentage increased to 57% in the fall after students participated in BFK. BFK was uniquely impactful for students with special needs, who gained on average of 16 SRI points more than non-special needs students. BFK students are making the most gains on average throughout the summer, although non-BFK students – who are, on the whole, more affluent – are more likely to read at or above grade level. These percentages are based only on Spring and Fall 2015 data and control for both school and demographic characteristics. Want to learn more about how we developed our program? Check out the study on which we modeled our K-5 book giveaways here.